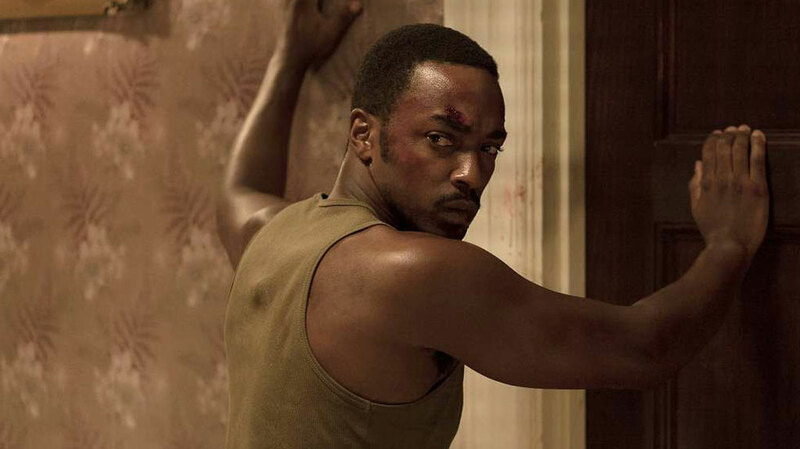 Detroit is not the first time that actor Anthony Mackie has worked with director Kathryn Bigelow, and given the power of their last collaboration (The Hurt Locker), it is easy to see why he was attracted to work for her again. DAVID O’CONNELL spoke to the man best known as Falcon from the Marvel Cinematic Universe about his work on Detroit, and received a shock answer to what Mackie’s dream role would be. Let’s start with your character, Robert Greene. He’s based on a real individual that went through the events at the Algiers? Yeah, he’s based on an actual guy. A military vet, just back from war, and he is in Detroit looking for some work. He just happens to be in the wrong place at the wrong time. What attracted you to the role? You know, Kathryn and Mark (Boal) I’ve worked with before, and I’ve really appreciated the way they were telling the story. There’s a level of dignity and humanity to Greene that you don’t see very often. America in the 60s was a very turbulent time. It’s the decade when America went from being a teenager to a young adult. When I read this character I was very impressed by how they portrayed him, and gave him the full seniority of a military vet. I know he wasn’t one of the three consultants on set, but did you actually get to meet Robert Greene, and find out what happened to him? No. We did some research and looked around for him, but were unable to find him. How do you prepare for a role like that? It’s a lot of research into the period. If you look at the soldiers coming back from war they weren’t really being treated that well by the US government, so there was a certain kind of anger about their condition in the states. I have cousins and uncles that were around that age, so I spoke to them. What was it like filming the sequences that were the Algiers Hotel incident? It was extremely hard, but at the same time very life affirming and positive. I feel like at that time African Americans were at the precipice of being degraded and tortured by their fellow Americans, and to see where we’ve come now, though we still have a lot of growing to go, is a huge transition in 50 years. What does Detroit have to say to people 50 years after the event portrayed? Never forget where you came from. In any country there are things to be ashamed of, but there’s a lot of growth from 50 years ago. If we look from whence we came we can be proud of how far we’ve come, and be sad of how far we have to go. Going back to filming the Algiers sequence, how did the cast handle channeling that much stress and tension for hours (and days) at a time? There was a level of respect amongst the cast and crew. We were all there to tell the story of these young men and women that were tortured and dismayed, and we all knew how we felt about it, we all knew what we were bringing to the table, so everyone was very respectful about it, everyone was very open minded about what the other people were going through. Do you think this film will reach the same level of acclaim and success as your previous work with Kathryn Bigelow ? I hope so. Kathryn deserves it, if you look at what she’s done for young directors in this business, if you look at what she’s done for filmmakers in this business, it’s pretty remarkable. I feel she is really starting to get the appreciation she deserves for the storyteller she is. None of her movies are huge blockbuster successes when they open, but they are those movies you talk about 10-15 years later. You’ve played a number of both historic and popular fictional characters in your career. Is there one role you would like to play? My dream would be to play Napoleon. I think if you read the story of Napoleon, it’s pretty remarkable. Look Napoleon was from Corsica- the land of the Moors. So I firmly believe Napoleon was a black dude. I think a lot of the Napoleon complex had to do with him being a black dude rather than how short he was, because at that time the average man was 5 4″. Exactly, so I think he was a bad muthafucker. I would pay to see that film…. Twice! Everyone has dreams man, everyone has dreams.